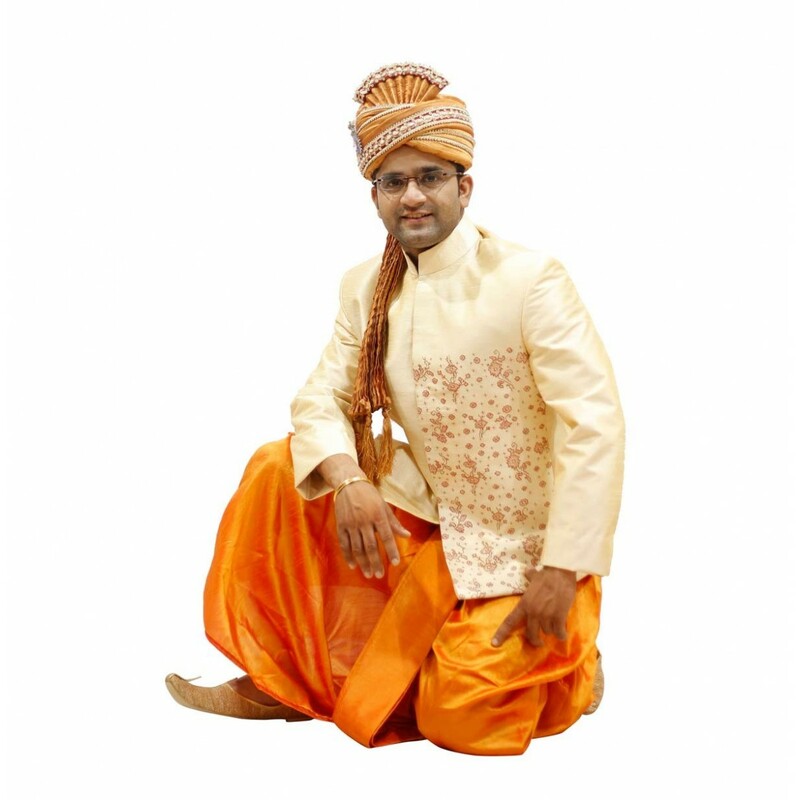 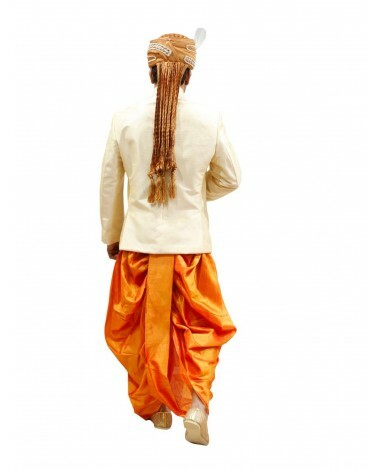 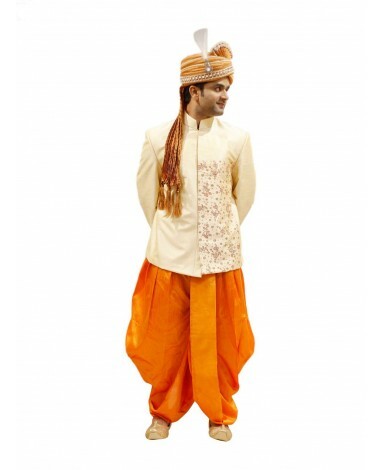 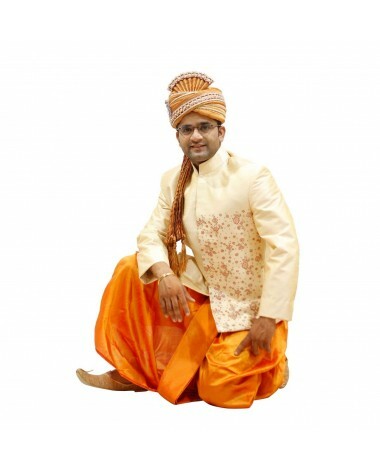 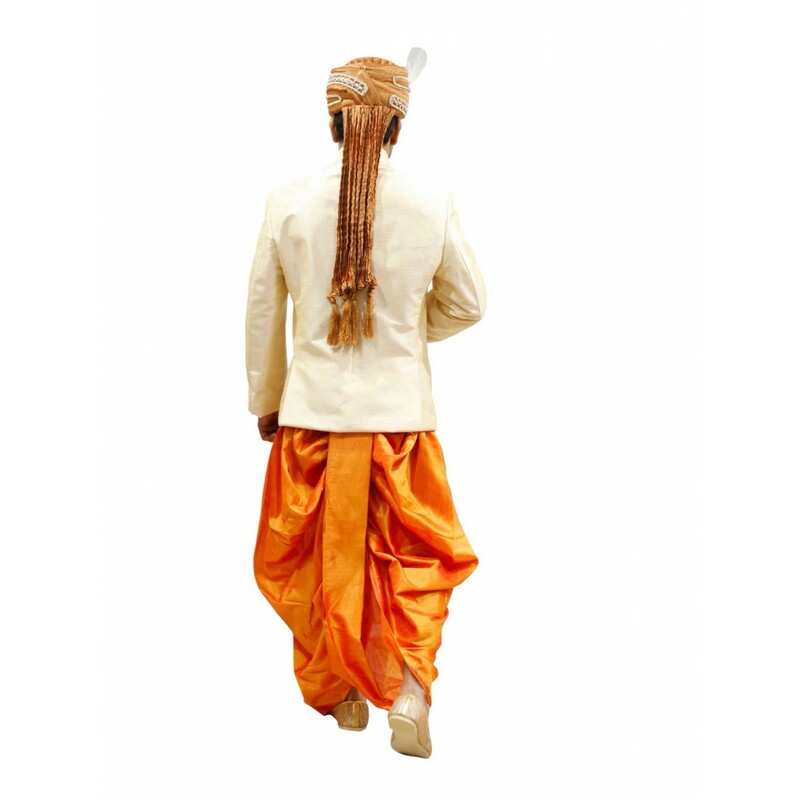 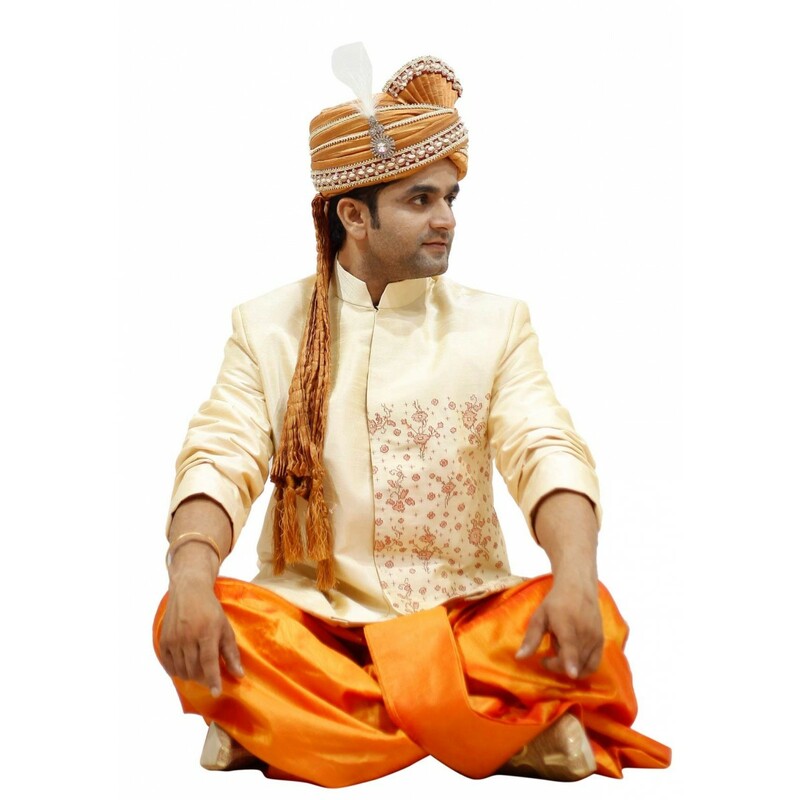 esigner regal touch orange light suit is fashioned on art silk a masterpiece and twinkling work by our designer nisu j and paired with orange colored dhoti will make it best fit for you to make you the center attraction of your marriage. 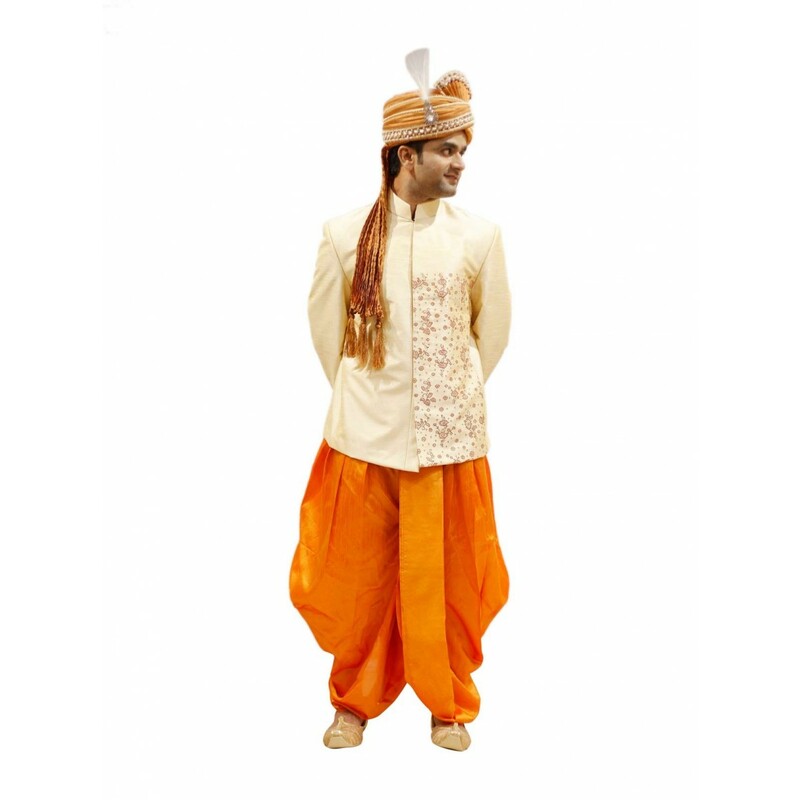 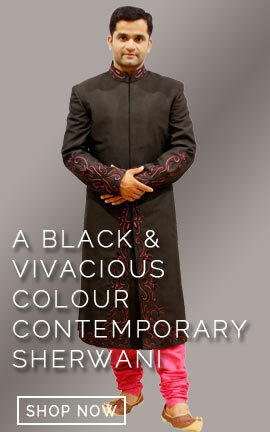 Designer regal touch orange light suit is fashioned on art silk a masterpiece and twinkling work by our designer nisu j and paired with orange colored dhoti will make it best fit for you to make you the center attraction of your marriage. 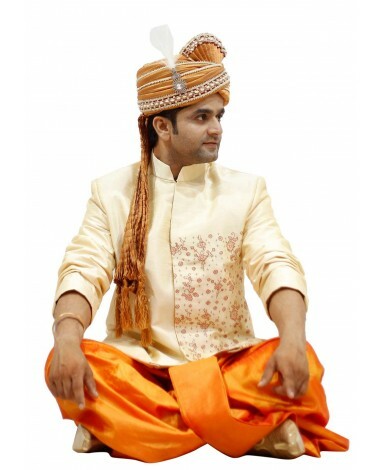 Traditional work of shiny jari, pearls and jardozy work motifs on the front piece, stitch work on chest part and high neck collar are giving dynamic look to it.